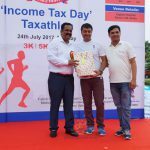 The Income Tax Department organised a Marathon - Run For Nation on July 24th, 2017 on the eve of 157th Income Tax Day - to make people aware that their tax returns is aimed at nation building. 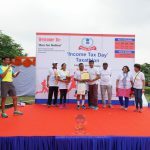 The officials said that the aim was to reach out to people and also popularize the role of Income Tax Department in the various segment of the society. The move also aims to bridge the gap between the department and people and taxpayers. 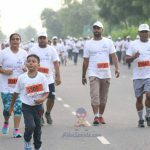 The programme was organised near Jaypee Hospital Sector 128 where residents and taxpayers - joined from 6 am- 9 am. 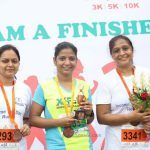 The Marathon was organised in three categories - 10 km, 5 km and 3 km in association with Piku Sports. 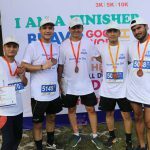 Chief Commissioner of Income Tax Rajni Kant Gupta flagged off the Marathon in the morning. "The programme was a huge success. Around 700 people and taxpayers participated in the programme. 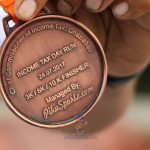 They were also informed about e-filing of returns at www.incometaxindiaefiling.gov.in and other facilities provided by the department," he said. The officials said that e-filing of return is more accurate, secure and confidential. It also generates faster acknowledgement of return and makes faster processing of funds. Due to advancement in technology, the people should switch to e-filing of returns. 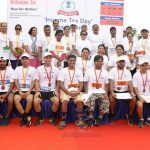 The participants were also informed about the Income Tax department's mobile application - Aaykar Setu, which helps the taxpayers to carry out basic tax related tasks on their own, like filing returns, apply for PAN, checking TDS statements, linking Aadhar and PAN, lodging grievances and contacting officials, etc.